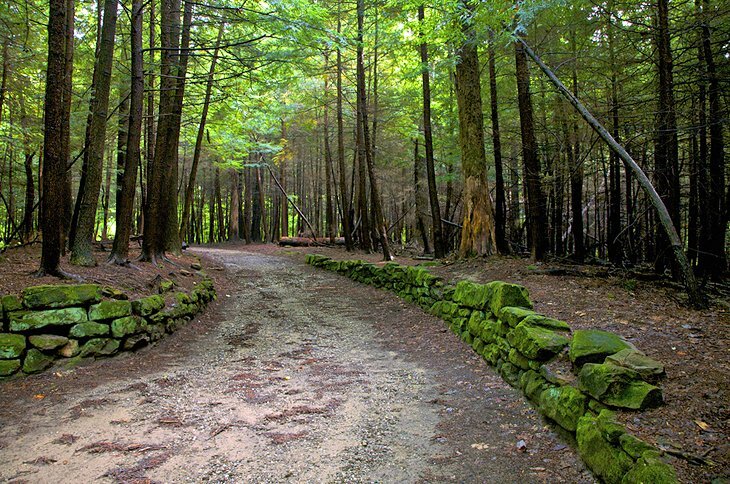 The national and state parks throughout Ohio are natural playgrounds for outdoor enthusiasts, from the forested foothills of the Appalachian Mountains in the south to the Lake Erie shores in the north. The diverse geographic regions in Ohio offer so many things to do year-round, from wilderness hiking, disc golf, canoeing and paddleboarding to snowmobiling, cross-country skiing, and bird watching. With two National Historic Parks, three National Wildlife Refuges and 83 state parks, you will discover that Ohio’s changing seasons make your favorite outdoor activities a different kind of experience every time. The Cuyahoga Valley National Park should be one of your first visits for outdoor recreation in Ohio. The natural beauty of the park is breathtaking as you experience hills, forests, and the active Cuyahoga River that winds its way through the park. It is hard to believe that this natural paradise is just a short drive from the urban activity in Cleveland and Akron. The Ohio and Erie Canal Towpath Trail runs through the park for 20 miles and is a main thoroughfare for bikers and joggers and one of five major biking trails. The East Rim Mountain Bike Trail is designed for off-road biking, and the paved Summit Metro Parks’ Bike & Hike Trail is best for families. Since biking is a popular activity in the park, it is easy to find bike shops in the area if you need repairs. If you plan to do a multi-day ride on the Towpath Trail, you should contact the park’s Communication Center, so your car is not marked as abandoned. Hiking trails in the Cuyahoga Valley National Park cover every skill level. You will find 125-miles of trails to choose from.